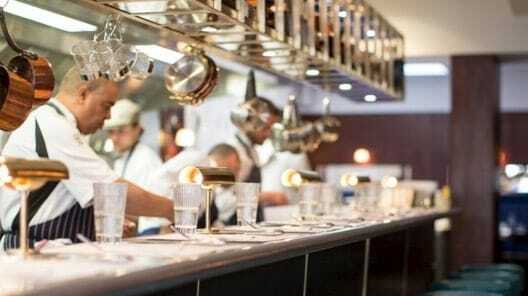 It may seem strange to think of a chef as a customer in another restaurant, yet they eat out more than you would think. While not having the most time in the dinner hour like the rest of us, due to their working most nights, when they do get out they are fussy about where they are willing to have a meal. So below you will find the top ten, (in no specific order) restaurants in which to each North of the Thames in London straight from the horses mouths, so as reported by the chefs themselves. We’ve added in a really delectable dish in our own estimation from each menu but we look forward to hearing what you think of each place. So without further fan fare let’s get down to dinner as recommended by the modern chef scene in London. Lyles in Shoreditch. Brought to bear by chefs April Bloomfield of the Spotted Pig, New York; Hibiscus’ Claude Bosi, and Lee Westcott of The Typing Room. It’s a modern British sort of place where the food and décor are very simple and clean according to Bloomfield, I believe she also mentioned the words precise and thoughtful. Chef Bosi also commented on the plates being simple, very good, and delicious. It was his feeling that keeping the décor in a minimalist theme made you focus that much more on the quality of the cooking. He recommends the cod tongue with wild garlic mash and ramson as a very good dish. 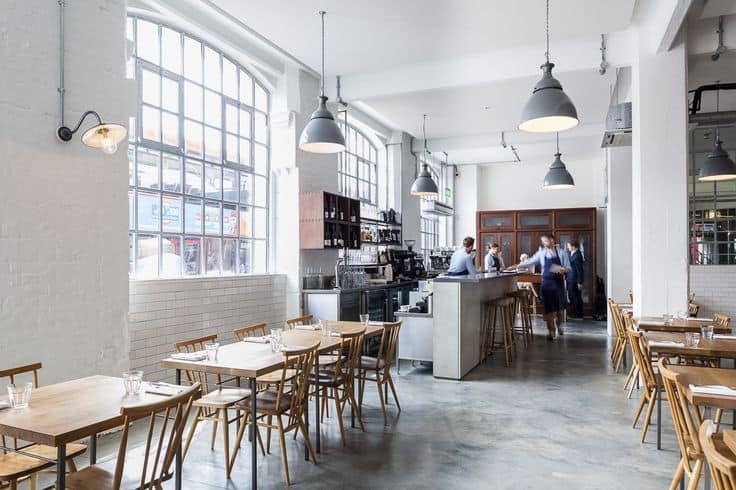 Chef Westcott likes the Dexter topside, Lyle’s in house(Cured meat) as a delicious choice and states his opinion and describes Lyle’s as an honest, and unfussy homage to traditional British cuisine. Chef Westcott also made mention of the restaurants smoked eel broth with turnips. Clove Club is a high end modern European restaurant that already has one Michelin star and is likely in line for a second. Recommended by the namesake last name restauranteur of Helene Darroze. She states that what is on the plate is simple but done extremely creatively, and she loves the black pudding the best. 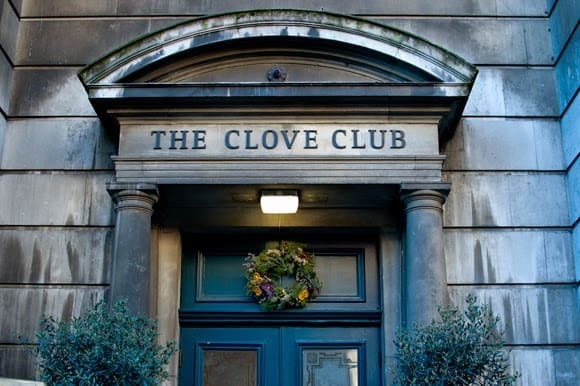 Another Shoreditch favorite Clove Club does a number of different offerings with their meals for dinners, there are Five Course meals or the choice of a tasting menu. We found the vegetarian five course had some special flare from the usual. Clove Club offering begins with salt baked beetroot, charcoal cream and hazelnuts, organic aubegine, green tomatoes, Saint-Nectaire and Autumn Truffle, followed by Jack Be Little Pumpkin, served with ginger and Montgomery Cheddar, for the entrée the Pot Roast Cauliflower, prepared with cinnamon, bay leaf and toasted bread sauce, followed by Amalfi Lemonade & Kampot Pepper Ice Cream and Apple Tarte Tatin & Sour Cream, this meal is £75 without wine or prestige pairing. 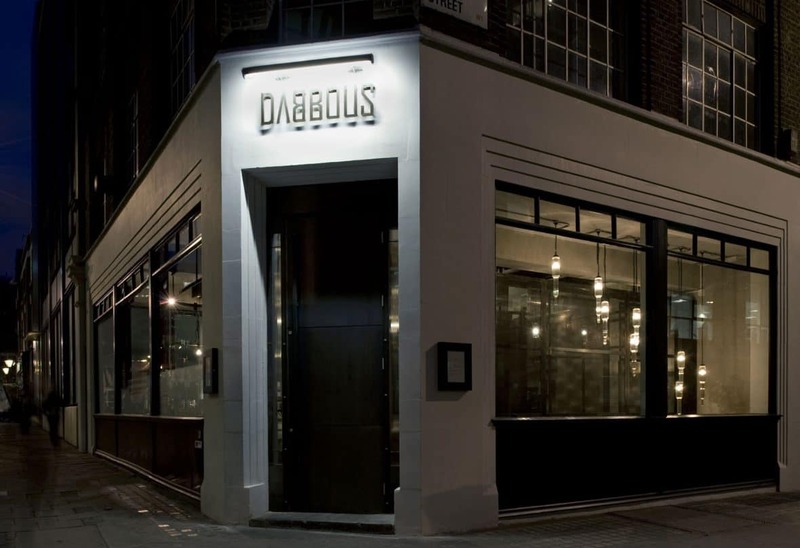 Dabbous which is recommended by Chef of Pollen Street Social, Jason Atherton. He admits that curiosity is what brought him in, but was convinced that the duck fat noodles was one of the very best dishes he’d had in London in years. It’s just north of Soho and considered a very high end modern European restaurant. Worth a mention is the basement bar called Oskar’s. Chef Ollie Dabbous puts out a tasting menu that change daily which we recommend to get a good rounded sample of their style of food. Today’s opened with a salmon tartare with sorrel mushrooms, a ripe avocado in a chilled fig leaf broth, with almonds and basil, for dinner wash mash and gravy alongside yellowtail tuna, with lemon balm and candy stripe beetroot, and roast goose with birch sap and white miso. The additional 9 BSP for the cheese course brought cheese from the British Isles, baked apple and toasted sourdough, and for desert pink grapefruit with black sugar and kinome. 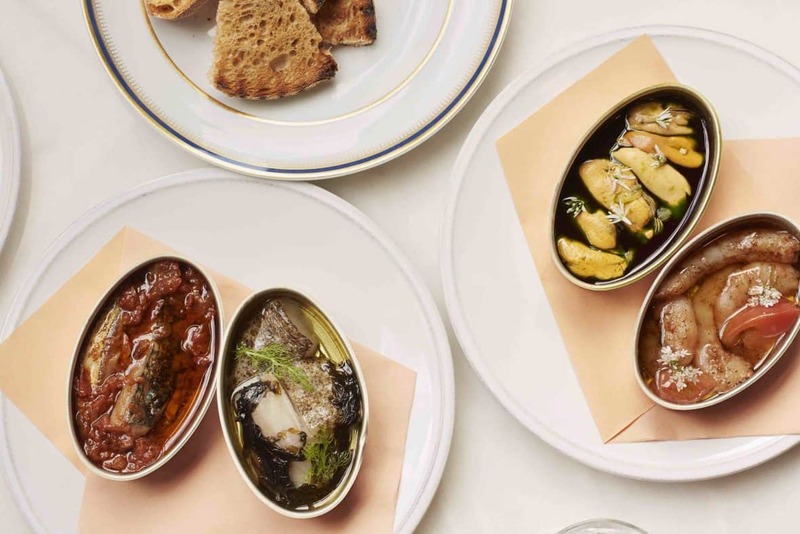 The Palomar, a Soho find brought to the list by Barrafina Chef, Nieves Barragan. 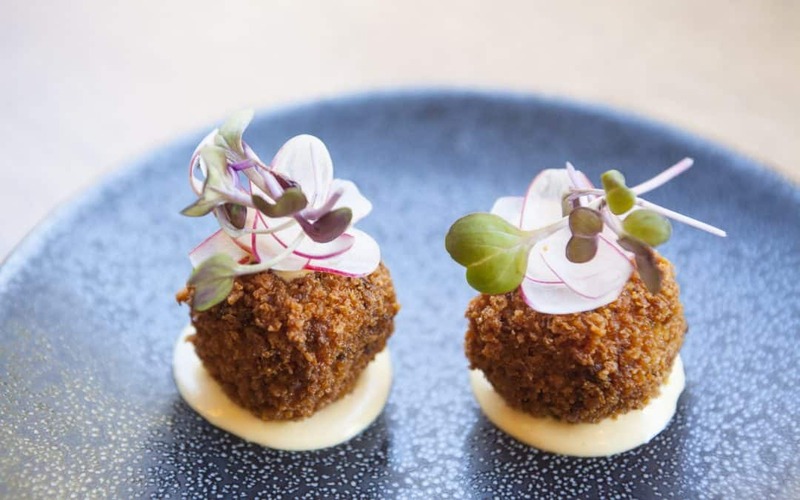 The Palomar has made a name serving the modern day Jerusalem dishes and in under just a year has won a number of food awards. Chef Barragan recognizes the love that goes into their dishes. His favorite was proclaimed to be the salmon tartare, but he’s partial to the laid back ambiance in addition to the dishes he calls small and really tasty. To get the best seat in the house grab a stool along the front of the restaurant counter where you can interact with the chefs directly. Blacklock in Soho, not much to look at, but all in keeping with their no frills cooking style of chops on an iron skillet. 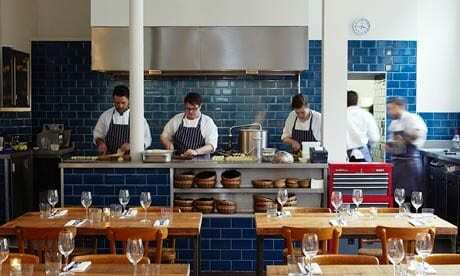 They are recommended by Dan Doherty, the Chef of the Duck and Waffle. 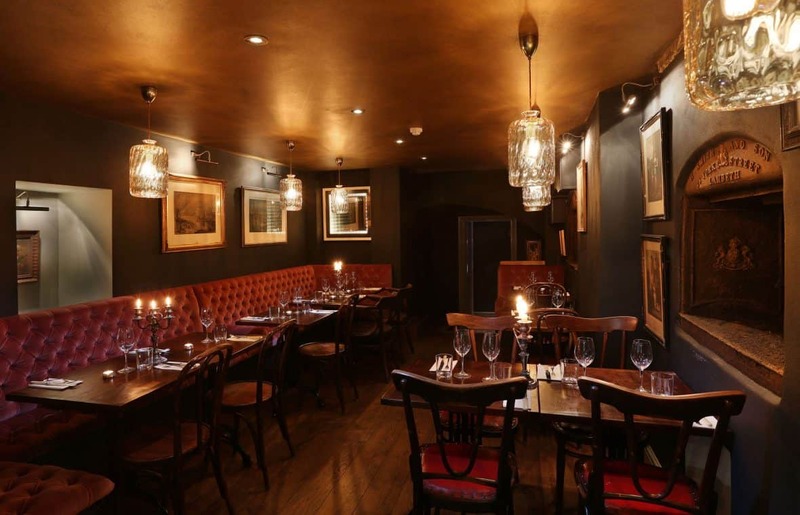 Doherty states that he loves the simplicity of the place and “the style is clear and the food is well-executed. They use quality ingredients. 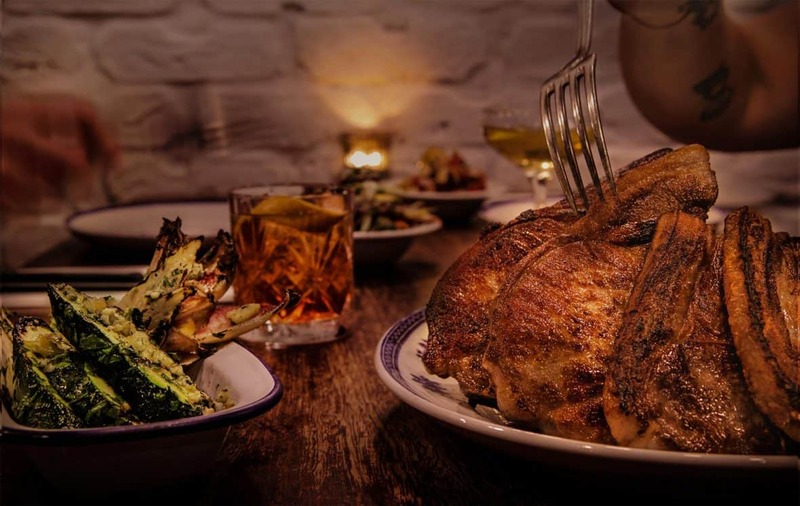 You can’t go wrong with great chops.” Their menu is split into three categories, skinny chops, served piled high upon a platter consisting of your choice of beef short rib, lamb cutlet, lamb t-bone, lamb neck, pork loin, pork rib, or pork belly. Big chops of Beef, Porterhouse or Prime rib, sixth rib or bone in sirloin, Lamb Barnsley, or Pork, the Tomahawk,or a steak sandwich. They do have two specials, maple cured bacon chop or 55 day aged rump cap. Rivea, is a bit east from the others we’ve mentioned and is another recommendation of Chef Koffmann, who considers the restaurant to be severely undervalued and states, “I had my best meal of the past year there, especially the lamb and socca salad.” The restaurant is overseen via France by Chef Alain Ducasse and perhaps that is why it is the most under-known venue on our top ten. 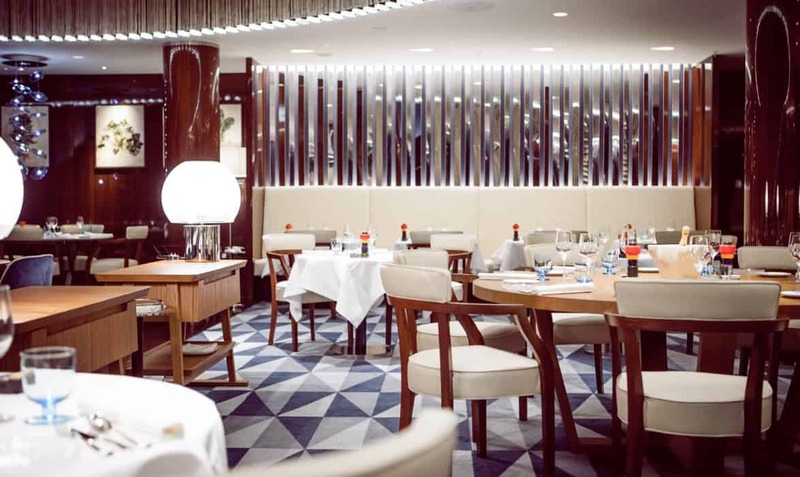 Ducasse has set up an interesting menu selection offering multiple lunch and dinner menus, and a festive menu special selection for service on Christmas, Christmas Eve, New Year’s and New Year’s Eve this year. Regularly the lunch meals come in 2 course options for £26, or 3 courses for £32 per person. The menu is created and cooked by the Rivea’s Executive Chef Alexandre Nicolas’ and it incorporates the classic flavors and vivid colors of the Riviera. Nicolas’ likes to focus on simple creations made from the best ingredients, particularly vegetables beside local produce, specialist products including cured meats and olive oil from Italy. 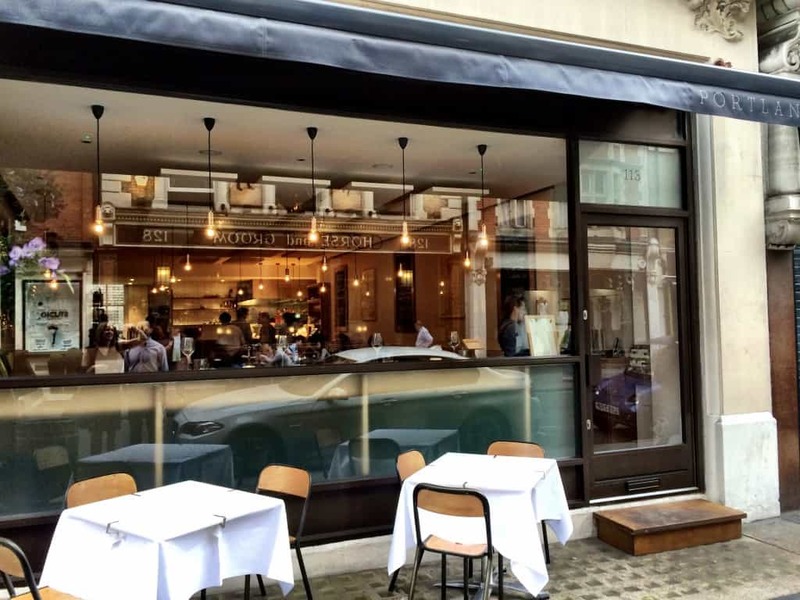 Hedone: Lastly, since you’ve been taken out east to Rivea, a bit farther in Chiswick is the modern Euro cuisine of Hedone. The atmosphere is set by the laid back space that shows its exposed brick and cave-painted ceiling atop a wooden floor. The Swedish-born, Chef Mikael Jonsson’ is certainly a destination spot and worth the drive for this upscale experience. 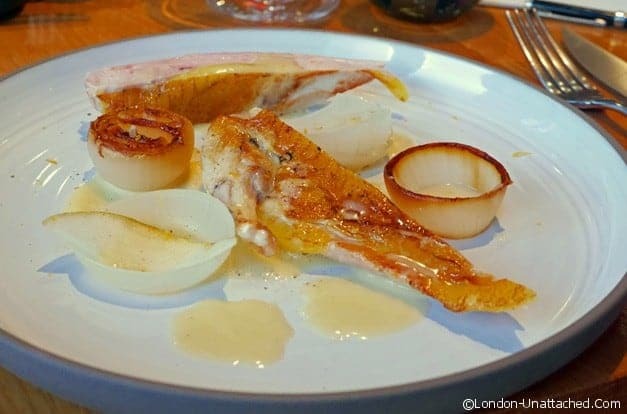 Awarded a Michelin star this year and named number 60 in The World’s Best 50 Restaurants’, it was recommended to us by the Chef of Hand & Flowers, Tom Kerridge . Kerridge states he’s dined there three time and that he “Loves everything Mikael stands for. The food is all ingredient-led. It’s wonderful. I like the watercress and black truffle omelet. Hedone does a tasting menu with each lunch and dinner and draws a crowd with his inventive dish choices. So these are the top ten North of the Thames in London that we have enjoyed sharing with you. A special note, we specifically left out the restaurants of the chef’s who recommended these great places so that we can do another list including just their venues specifically in another piece next month. Not all restaurants are serving on Christmas Eve and Christmas Day so we recommend you get reservations in advance and let us know your favorites at each place.